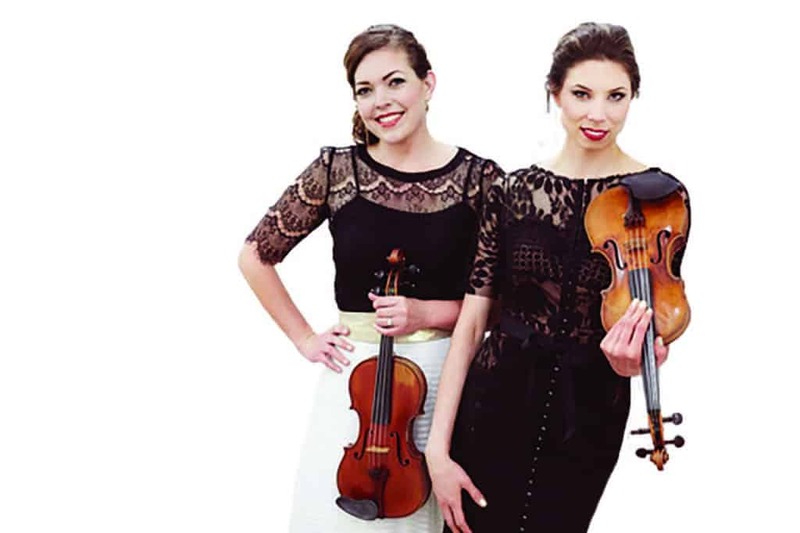 Sunday, July 9, 5 p.m.—ROCHESTER—Seeing Double violinists Julia Salerno and Sarah Whitney with pianist Cynthia Huard will perform in concert on July 9, at 4 p.m. at the Federated Church in Rochester. The Rochester Chamber Music concert marks the opening of the Green Mountain Suzuki Institute, now in its 14th year. The dynamism and astounding technique of the three artists makes for a not to be missed concert. The program will include Bach Double Concerto in D minor, Moszkowski Suite for Two Violins and Piano, Op. 71, and Sarasate’s “Navarra”. Seeing Double is a unique concert of all duo violin music, proving that the music of two violins can be much more than the sum of their parts. Longtime best friends Sarah Whitney and Julia Salerno began performing duo violin concerts while studying together at the University of Michigan. Though currently residing on opposite coasts, Salerno is violin/viola professor at Eastern Washington University and Whitney is violinist in the N.Y.C. based quintet Sybarite5. Rochester Federated Church is located at 15 North Main St., Rochester. For more info call 802-767-9234 or visit rcmsvt.org . Violinists Julia Salerno (left) and Sarah Whitney (right) will be a part of the Rochester Chamber Music Society concert, Sunday.